Of all the mixologists charged this year with creating a cocktail list in New York, Nick Mautone, the beverage director at the new SoHo restaurant Jezebel, may have faced the greatest challenge. Jezebel is a kosher restaurant, and the cocktails also had to fall in line with the laws of kashrut. Kosher wine lists are common in New York, and relatively easy to assemble. All a wine director has to do is look at the label. If it has a hechsher (a symbol of kosher certification), the bottle is a potential candidate for the cut. If not, it’s not. 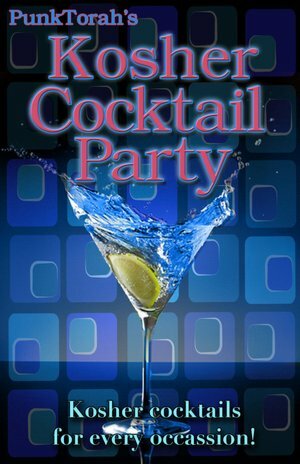 But cocktails are composed of a panoply of ingredients, every one of which must be checked out. Base spirits are the easy part. “Most spirits are kosher by definition because they’re distilled,” Mr. Mautone said. “All the impurities have been removed. 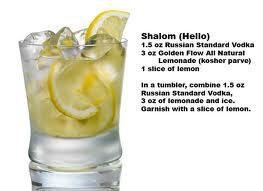 The majority of vodkas, gins, whiskey and tequilas are all kosher.” Still, you have to keep your eyes peeled. Some flavored vodkas and whiskeys are not eligible. And many whiskeys today are finished in wine barrels (port, sherry), a technique that negates their kosher bona fides, since all wine products must be certified. But a glass of whiskey is not a cocktail. It requires modifying agents, and that’s where things gets hard. Many of the famous liqueurs and bitters — Campari, Benedictine, Chartreuse, Dubonnet, Peychaud’s bitters — that are required to make some of the world’s most famous cocktails are not kosher. That means no Negronis, no Sazeracs, no Vieux Carres, no Bobby Burnses. It’s enough to break your heart.